Phil is a choral director and professional singer. He directs the Fleet Singers, a community choir based in Gospel Oak, and two lawyers’ choirs based in the city. Phil is the Learning and Participation Manager for Leeds Lieder where he coordinates and delivers workshops in schools and the wider community to introduce new audiences to classical song. As a workshop leader, Phil has worked with the NHS Training Academy, the Leadership Foundation for HE, Hull University, Music in Offices, Wigmore Hall and Opera North. As a singer, Phil’s most recent engagements include playing Ataliba (Alzira, Verdi) for the Buxton Opera Festival; Sir Thomas Bertram (Mansfield Park, Dove) for the inaugural Waterperry Opera Festival; Count Almaviva in Merry Opera’s production of The Marriage of Figaro; and singing in the Royal Shakespeare Company’s production of King Lear at the Barbican Theatre and in New York. Phil is a graduate of the Royal Academy of Music where he studied with Alex Ashworth and Audrey Hyland. During his time at the Academy, he worked on several projects with Julian West’s Open Academy alongside Hackney Empire Theatre, Wigmore Hall and Glyndebourne Opera. 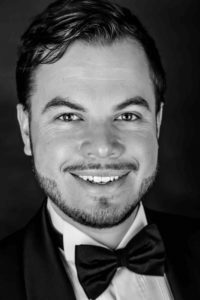 Phil has appeared regularly as an oratorio soloist, recitalist and professional chorister throughout the country. He also plays the piano accordion in ceilidh bands and enjoys long walks in the country. For MIO, Phil conducts the Stewarts and Trowers and Hamlins choirs.